Art, at its purest, is about self-expression, connection, and curiosity, tapping into personal creativity to bring to life a whim, a notion, an idea. From Nobel Prize-winning lyricist Bob Dylan to pop singer and 21st Century cultural icon Lady Gaga to Silicon Valley legends like Steve Jobs, cannabis has long been associated in the mainstream psyche with creativity and artistic expression for its ability to trigger nonlinear thinking and free association, increased pattern recognition and deep introspection. So it was only fitting that cannabis business leaders would champion the arts, particularly at a time when the White House has been outspoken about eliminating the National Endowment for the Arts, the National Endowment for the Humanities, and the Institute of Museum and Library Services, which are vital to the country’s cultural economy. Since opening its first storefront in Boulder in 2009, Terrapin Care Station has made arts philanthropy a cornerstone of its mission—to holistically care for residents in the communities its serves. Now, the company has six dispensaries, including its central Denver location at 1 Broadway Street in the historic Baker neighborhood. The company has embraced the arts community through fundraising efforts like “Classically Cannabis” and “Red Rocks on a High Note,” both of which successfully raised thousands of dollars for the Colorado Symphony Orchestra. Other arts nonprofits proudly supported by Terrapin Care Station include the Boulder Museum of Contemporary Art, The Dairy Center for the Arts, Colorado Youth Symphony Orchestras, and yours truly, Denver's Art District on Santa Fe. Terrapin Care Station’s draw to the arts wasn’t strictly confined to the tastes of creatives who turn to cannabis to spark their creativity. Owner Chris Woods has always seen his company as the artist of the cannabis industry, clinging to its individuality and community-centric ideals. Instead of seeking out investors to quickly expand the company’s market share, Woods believed in an organic, grassroots approach to business by letting his loyal customer base—and revenues—drive growth. In doing so, Woods has managed to maintain his vision for the company rather than be driven by the whims of stakeholders looking to turn a quick profit in the burgeoning industry. 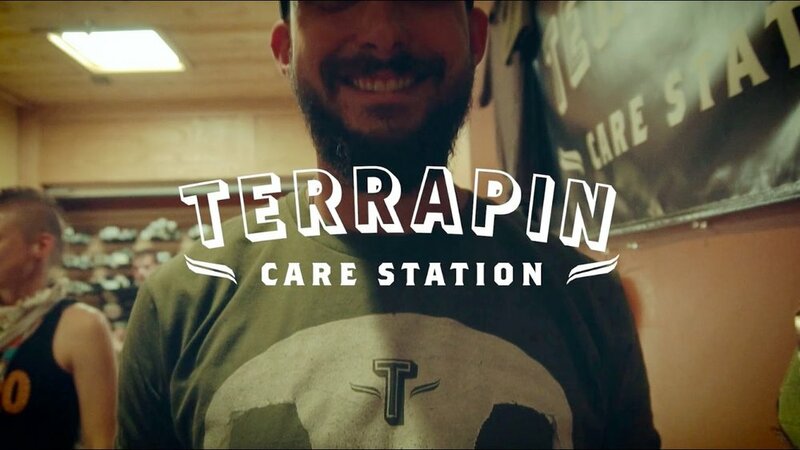 Terrapin Care Station has focused on producing the highest quality cannabis through agricultural practices that naturally nurture each plant throughout the cultivation process.